Chemical synthesis is the construction or cooking of complex chemical compounds from simpler ones. It is the process by which many substances important to daily life are obtained. It is applied to all types of chemical compounds, but most syntheses are of organic molecules. Chemists synthesize chemical compounds that occur in nature in order to gain a better understanding of their structures. Synthesis also enables chemists to produce compounds that do not form naturally for research purposes. In industry, synthesis is used to make products in large quantity. In planning the route of chemical synthesis, chemists usually visualize the end product and work backwards toward increasingly simpler compounds. Microwave Chemical Synthesis is the process of applying microwave radiation to chemical reactions to synthesize new chemicals. Microwaves act as high frequency electric fields and will generally heat any material containing mobile electric dipoles/charges such as polar molecules in a solvent or conducting ions in a solid. Polar solvents are heated as their component molecules are forced to rotate with the field and lose energy in collisions. Semiconducting and conducting samples heat when ions or charges within them form an electric current and energy is lost due to the electrical resistance of the material. Microwave heating in the laboratory began to gain wide acceptance following papers in 1990s. Conventional heating usually involves the use of a oven or oil bath, which heats the walls of the reactor by convection or conduction. The core of the sample takes much longer to achieve the target temperature, especially when the substance is a solid. Microwave heating is able to heat the target compounds without heating the entire furnace or oil bath, which saves time and energy. It is also able to heat sufficiently thin objects throughout their volume (instead of through its outer surface), in theory producing more uniform heating. However, due to the design of most microwave ovens and to uneven absorption by the object being heated, the microwave field is usually non-uniform and localized superheating might occur. To counter this limitation often some kind of agitation arrangement is used; either to agitate the field or to agitate the compound as demanded by the process. 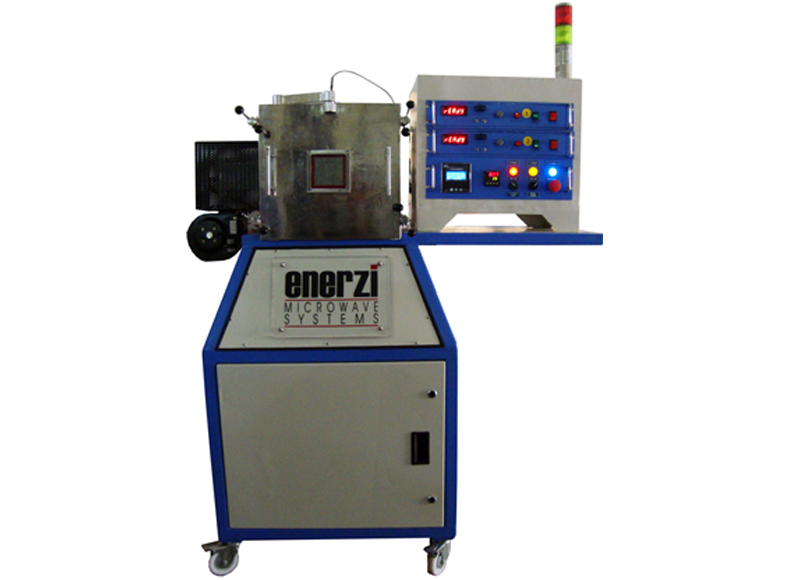 Enerzi offers a specially designed Microwave Chemical Synthesis Oven for research and production alike.